Step 1: Visit our site: www.lover-baby.com and place the order. 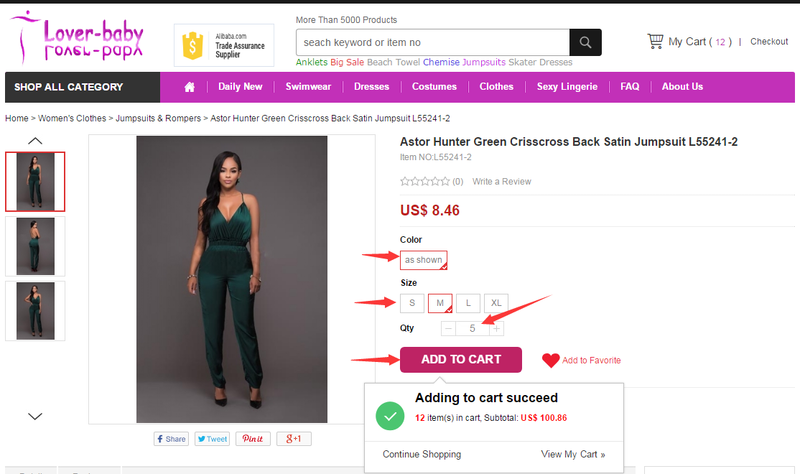 Step 2: Choose the product and Add to Cart which need Size,Quantity. 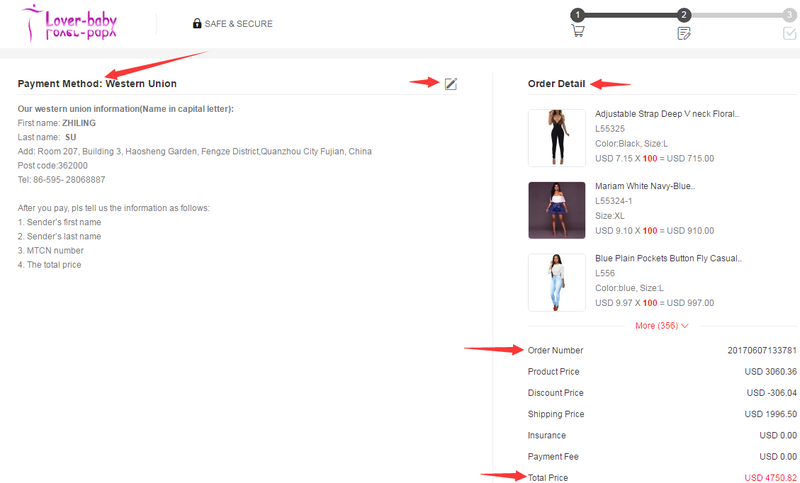 Step 3: You can check all product you choose in Cart. 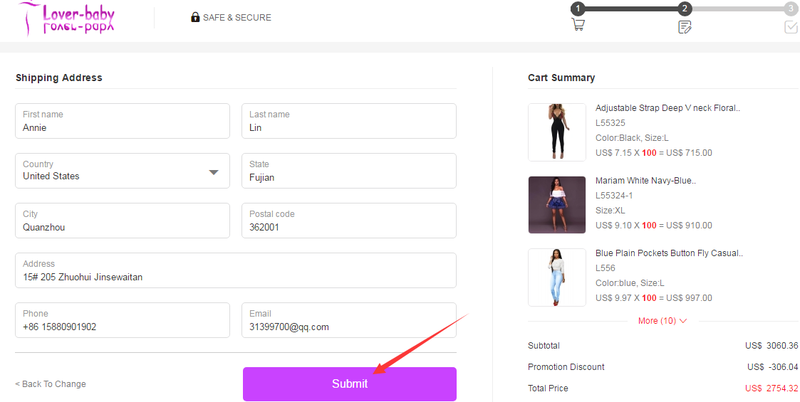 Step 4: When you click “Cart”, all product will be shown. 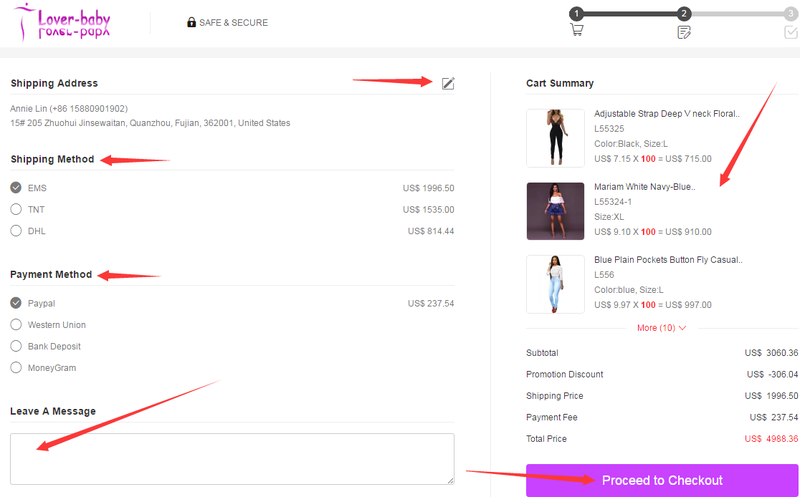 After you confirm the product quantity and size, You can directly Click “PayPal” to pay the order. 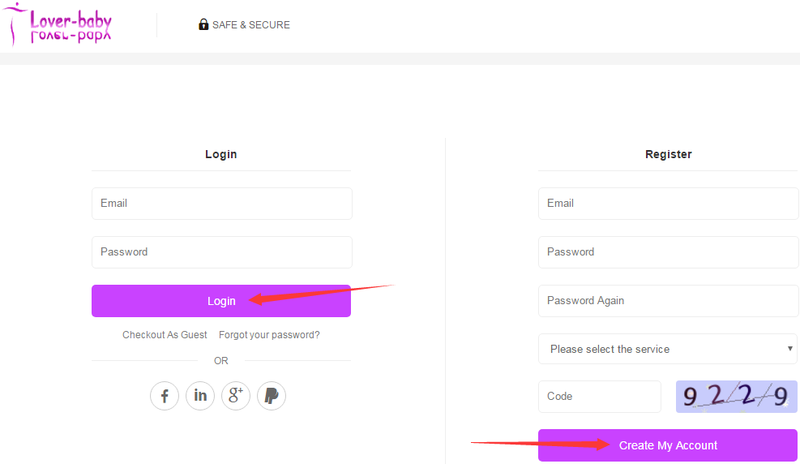 If you have account on our site, you can directly sign in. If not, please create an Account here and write all your shipping information. Step 6: Your orders is finished now and wait for our invoice by email. If you choose PayPal or Credit Card, you can directly pay online. Step 7: After finished order,you can check it through "My Order" in "My Account".